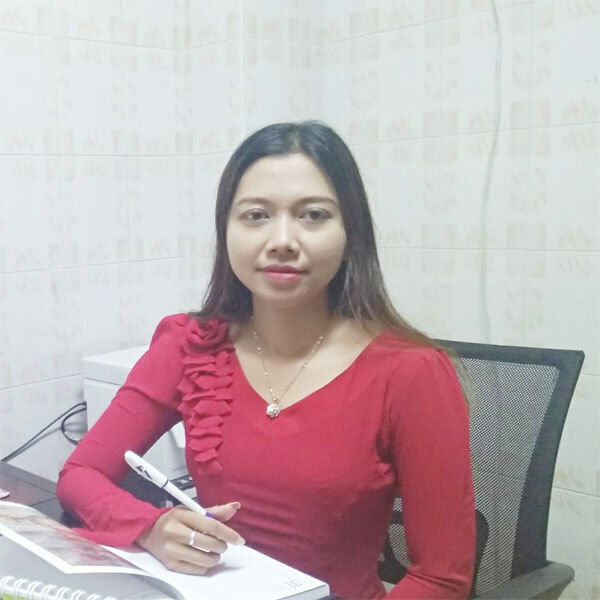 In this week, we are going to make the Interview with Ma Khaing Zarchi Sann who is the Owner of Maravilloso Natural Soap. 1. We would like to begin the interview with some biographical information. Can you please let me know about yourself ? My name is Khaing Zarchi Sann & age is 33. I’m graduated ( B.A (English) ) in 2005.I’m not only owner of “Maravilloso” Natural Handmade Soap ” but also ” Operation & Documentation Executive” of Baramati Agro Singapore Pte Ltd. (Myanmar Branch). 2. When did you become the Owner of Maravilloso Natural Soap and How did you start it ? In 2017 , I was interesting about reducing Chemical Soap and searching details & video files corresponding with soap in Internet .I attended basic & advance Soap Class and made reduce Chemical Soap which consists of Natural things such as fresh Vegetables , Fruits , Bamboo charcoal & Amber.Firstly , I tested our various soaps in Laboratory to get FDA certificate .Our friends & relatives who gave good feedback (skin become got good benefits within one week) upon our soap’s good quality which is to encourage to produces Natural Handmade Soap . After that, I gave Spanish name of Soap ” Maravilloso” Natural Handmade Soap” to start business . 3. What are the main products of your company/business ? Our Main Product is Natural Soap only. 4. Do you have factory or workshop by your own in Myanmar ? I have small workshop at home,Yangon. There is 5 persons including me . We all together made Soap with fresh & clean natural things by Handmade only.In future, I hope that will be a big Soap factory in Myanmar . 5. What are the main challenges you face as a Myanmar manufacturers ? local market against foreign famous branded cosmetic & other same products . 6. Are you exporting to other countries ? I upgrade our products because of we have a plan to export to other countries . 7. Do you have oversea Exports, Imports, Oversea Buyers and Trade Partners ? Now, I’m also working at Export , Import Company and have relationship with that buyers & sellers . I try to promote our Natural Handmade Soap to all over the world . 8. Do you want to say anything to our MadeInMyanmar.asia Web Portal ? Thank you very much to MadeInMyanmar.asia Web Portal becaues of interviewing to our ” Maravilloso” Handmade Natural Soap .I Hope that will be get good opportunities for our Products to International Market .